If you have ever experienced a good flight, then you will sure be looking forward to repeating this stellar experience. Nothing compares to the feeling you get when the plane takes off the ground and you can feel that intense and pure freedom of leaving all you worries behind. Nonetheless, one of the worries that you may feel you leave behind is the stress of waiting in an airport chair which is in most of the cases less than ideal for your tired back or your growing impatience to arrive at your destination. Therefore, what is to be done in such a situation? Well, the answer is simpler than you may think in the first place – buying an access pass to the airport’s lounge, in case the airport you are in has one and most of them do. How does a place with Wi-Fi, snacks, all sorts of beverages and, of course, incredibly comfortable chairs sound to you? I am sure that everyone is looking for a completely positive airport experience and in case you are travelling often, having access to the airport’s lounge is definitely something you should try. As a consequence, how do you obtain access to the lounge spaces of an airport? Firstly, you have to make sure that the airport of your choice has a zone dedicated to lounging. After that, you have to verify if the airline you fly with offers access to a lounge zone. We have prepared information about three of the main airlines available worldwide: Emirates Skywards, British Airways and Qatar Airways. You will be free to enjoy the lounge services in the following destinations: Auckland, Bangkok, Beijing, Birmingham, Brisbane, Colombo, Hamburg, Hong Kong, Istanbul, Johannesburg, Kuala Lumpur, London Gatwick, Munich, New York John F. Kennedy, Paris Charles de Gaulle, Perth, Rome, San Francisco, Delhi, Dubai, Dusseldof, Frankfurt, London Heathrow, Manchester, Melbourne, Milan, Shanghai, Sydney and Zurich. For a certain fee, you are free to use the benefits of your airline’s lounge zone. To conclude, buying access to a lounge access zone is the right choice if you are travelling often and if you want to have a pleasurable travelling experience. Go on, you are going to thank for for choosing this! How Will Brexit Affect Businesses in Oxford? Hey Buddy!, I found this information for you: "Best Way To Travel – Airport Lounge Access". 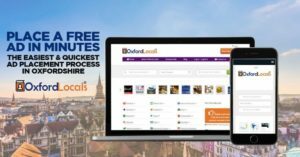 Here is the website link: https://oxfordlocals.com/best-way-to-travel-airport-lounge-access/. Thank you.